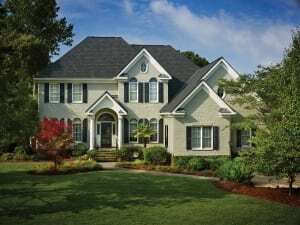 Roof Replacement Services – New Jersey Siding & Windows, Inc. If your existing roof and gutters are old, worn-out or damaged, it may be time for a roof replacement. As North and Central Jersey’s premier roofing installer, New Jersey Siding & Windows, Inc. offers a full range of roofing replacement products from industry-leading brands, including Owens Corning, GAF and CertainTeed. To learn more about our roofing services or the products we install, call us today at 973-895-1113. For over 75 years, Owens Corning has been a leader in roofing composites – they even held the first fiberglass shingle patent in 1965. Today, the company’s composite shingles are manufactured at the Owens Corning Kearny Roofing Plant in Kearny, NJ. 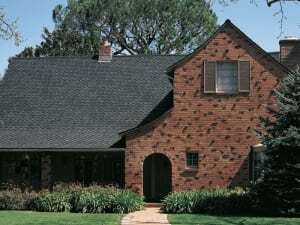 Choose from architectural, slate-look and dimensional shingles in a variety of color blends and with a diverse array of innovative technologies to give you the look and features you desire. Established in 1886 and headquartered in Parsippany-Troy Hills, NJ, GAF is the leading roofing manufacturer in North America. GAF offers a large assortment of fiberglass asphalt roofing products for residential and commercial applications. No matter your priority – whether it’s durability, color or energy efficiency – GAF roofing shingles are available in many different styles to match your home and budget. New Jersey Siding & Windows is a GAF factory-certified contractor. A subsidiary of Saint-Gobain, CertainTeed has been providing leading residential and commercial roofing products for over 110 years. At New Jersey Siding & Windows, Inc., we offer North and Central New Jersey homeowners CertainTeed Landmark roofing shingles. These high-quality, laminated fiberglass shingles resemble the look of traditional wood shake while offering extra protection against the elements. Plus, these shingles are available in a full range of colors to complement your home. Damaged roofs can invite mold, mildew and even pests into your home. 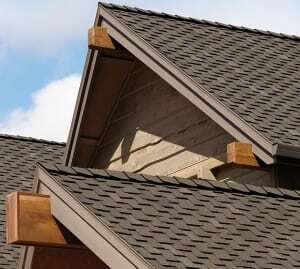 Make sure you keep your house protected with a new roof. Contact New Jersey Siding & Windows, Inc. to request your free estimate. For qualified buyers, we also offer 0% interest-free financing to help fund your roofing replacement project. Properly installed gutters are an easy way to avoid expensive foundation repair, landscape refurbishments, flooded basements, mold, and mildew, as well as a variety of other exterior damage to your home. When water pours off your home in an unpredictable fashion, it can cause damage. When the water pools, the excessive moisture leads to cracking, shifting, and buckling within the foundation. 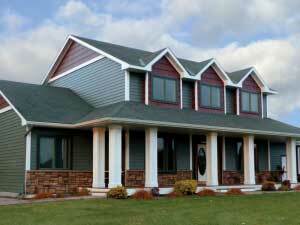 Gutters and leaders are available in a variety of colors to match most siding and trim. Also available in copper. New Jersey Siding and Windows installs Leaf Relief Gutter Protection Systems to help provide a permanent solution to drainage problems and clogging. The technology allows gutters to remain free of debris. Gutters can be designed to add curb appeal to the exterior of your home. Leaf Relief brings real relief to homeowners who need a gutter solution that works, first time, every time. The patented Aluma-Perf TechnologyTM keeps debris out of gutters, allowing water to flow freely. Debris is then lifted off of gutters by a gentle breeze. Leaf Relief mounts securely to the gutter system, resisting damage from high winds, heavy snow and ice. 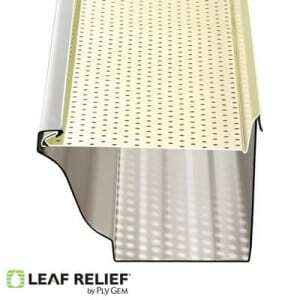 The tough aluminum construction of Leaf Relief is indelible and resists damage from bugs, squirrels, raccoons and birds! Leaf Relief’s unique design ends routine gutter cleaning, lowering maintenance costs and hassles! No more dangerous trips up the ladder! Put an end to your gutter cleaning days with Leaf Relief! Don’t just take their word for it. Independent testing confirmed Leaf Relief works better than other gutter systems on the market! In addition to our quality products and craftsmanship, our attention to detail has garnered recognition from both the Better Business Bureau and Angie’s List Super Service Award. Contact us today to learn more about financing options, or to receive a free estimate on the work that will make your home the neighborhood standout.